ALABAMA STATE FAIR - "Rated a "10" across the board. An excellent act and easy to work with." STATE FAIR OF VIRGINIA - "A GREAT act, which we will recommend to anyone. Our fifth year with Alfie." FLORIDA STATE FAIR - "A humorous yet sharp and unique show with great audience appeal." IOWA STATE FAIR - "Huge audiences even on the off-days. 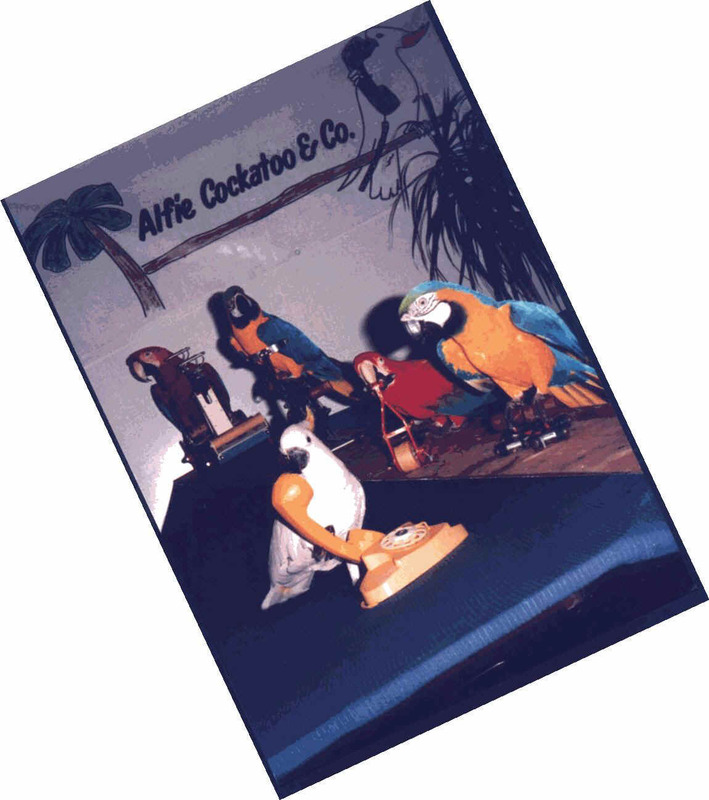 Best bird act in the business." VERMONT STATE FAIR - "We should have had a grandstand to accommodate all the crowds!" WISCONSIN STATE FAIR - "The Alfie show was everything you said they were and more." SIX FLAGS THEME PARKS - "I book Alfie over and over again. Great act, great people - rates a "10". INDIANA STATE FAIR - "It is our third time with Alfie and it gets better every time."